Love word scrabble games? Try a new letter connect word guessing quest. Looking for fun new word game? A vibrant and ambient word test spell puzzle? Something that is brain teasing and entertaining? Well, Noggin Wordsmith is it! Our letter matching scrabble fun game is one of the most interesting word connect puzzles in 2019 – try now! Word puzzle challenges & brain fitness games help keep your mind active, encourage pattern recognition and are great fun! Enjoy the excitement of classic word game with a twist. Play by simply swiping on the screen. Fast, fun and addictive! 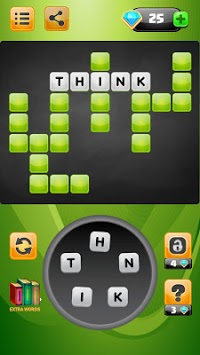 We wanted to make Noggin Wordsmith to be your new favorite word smart and word train puzzle. For that purpose we crafted tons of exciting 700+ levels. Can you pass them all and become the ultimate word king in this smart word game? Now go, start your letter matching word puzzle adventure. 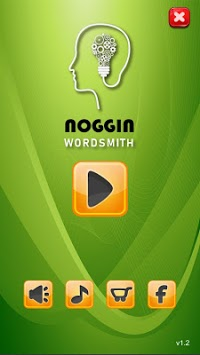 Download Noggin Wordsmith for free.